Are You Worried About A Senior Person In Your Life? Do you worry that a senior in your life, maybe your mother or father, is suffering from loneliness or living in isolation? Do you worry that your loved one is no longer enjoying life? Perhaps your senior relative isn’t sleeping because of a fear of dying, physical aches and pains, or both. 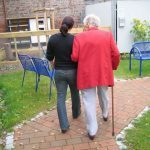 You might find yourself getting frustrated with your elderly relative when he or she refuses to leave the house to engage in social activities. Maybe your loved one is living alone, and although you think he or she needs extra care, your loved one is unwilling to accept help, afraid of burdening others. Perhaps you worry that instead of living a fulfilling life, your senior is simply waiting out the clock, too afraid of falling or dying to pursue new opportunities or explore possibilities. Growing old can be an unsettling and lonely experience for many people. While some flourish in later years, learning to love their freedom from the responsibility of family and work commitments, others struggle to adjust to a very different lifestyle. Your senior may feel too embarrassed to express changing needs and limitations to you, having spent a lifetime giving care, rather than being taken care of. Your relationship dynamic may now feel off-kilter, with both of you unsure how to navigate the reversal of roles that aging often brings. Do you wish you could help by offering support without your loved one feeling like a helpless child or invalid? With better nutrition and medical care more people are living well into old age. While living longer is undoubtedly a good thing, growing old does bring new challenges. One of the greatest challenges is often adjusting to life alone, without a spouse or close family to rely on for support and companionship. Additionally, life as an elderly person is different from what it was the majority of adulthood, and making major life adjustments can be a very difficult process for many people. 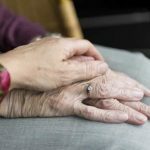 Not only do elderly people have to learn to cope with being alone or living with a sick partner, many have their own health complications to deal with as well. 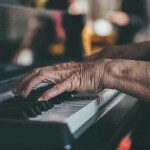 A combination of physical struggles and emotional fears, stresses and worries can result in a senior living a life that is overly restricted and lacking in joy. Society doesn’t teach us how to grow old. Despite the fact that we have an increasingly aging population, many of society’s activities are still geared toward people who are young and healthy. And there is still the stereotype of the elderly living out their later years sitting in a rocking chair on the porch, happy to watch the world go by. Yet many seniors are used to a more fulfilling life and become frustrated by a sense of being pushed to the side. Yes, there are hardships in aging, such as losing loved ones and dealing with physical difficulties, but life can nevertheless still be fulfilling and rewarding. More people are becoming aware of the benefits of senior counseling to help them cope with getting older. A skilled and compassionate senior therapist can help your loved one learn to reestablish expectations, desires and goals; communicate needs without fear or embarrassment; and discover fulfillment in life again. 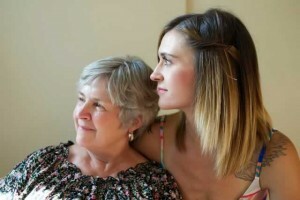 The inability to communicate thoughts, desires or fears with family members or caretakers may be at the heart of your senior’s struggle to adjust to this stage of life. 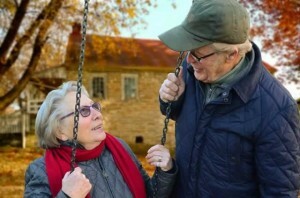 Whatever your relationship may be, it is important that your senior gains the skill and confidence he or she needs to express thoughts and feelings clearly and honestly with family and friends. In senior counseling sessions, your senior’s therapist can help your relative focus on establishing clear boundaries and developing effective communication strategies. He or she can feel listened to and understood, allowing for honest thoughts and emotions to surface freely and without fear of upsetting loved ones. In therapy sessions, your senior will be able to unburden him or herself, with no topic off-limit for discussion. Your senior may wish to discuss family or health concerns, life regrets or accomplishments, fear of dying and end of life decisions or other issues. Senior therapy is an opportunity for your loved one to speak openly about things he or she may have been taught not to talk about with other people. Additionally, your senior’s therapist can help your loved one reframe expectations and goals for later life, especially if expectations have to be modified due to medical issues. Senior therapy can help your loved one to understand and embrace their limitations, choosing to accept the support of a cane, for example, or attend an activity for an hour rather than not going at all. After working as therapists for over 30 years, we know that senior therapy works. We have helped people from all walks of life live more fulfilling lives. We’ve seen significant changes early on in therapy, sometimes as soon as a senior begins to focus on what he or she can do rather than what he or she is no longer able to do. With a change of outlook, your loved one can create new goals and a happy and rewarding life. Whether through learning to make a new life or adjusting to being cared for by others, talking through fears can be a huge relief to your loved one. I’ve never needed therapy before, why should I need it now? Aging is a natural process, but it does present new challenges and stresses for many people. There is a lot to adjust to in this new phase of life, whether that is the loss of a loved one or learning to deal with isolation, retirement or medical issues. Whatever the issue you’re facing and however large or small you perceive it to be, therapy can help you find satisfaction in life again. I don’t need help, and I don’t know why my kids think that I do. It’s likely that your children or caretakers are concerned for your well-being. It may be that you seem grumpy, are worrying more or seem sad a lot of the time. They may notice you withdrawing from the outside world and worry that you are no longer enjoying life. However, sometimes children or caretakers simply have unrealistic expectations and may not understand your needs as an elderly individual. In either case, therapy can help you improve your communication skills. You can learn how to express what you need and figure out a way to establish a better relationship with your loved ones. Can’t I just take some medication? While we do sometimes use medication as an adjunct to therapy (for example an anti-anxiety or anti-depression medication), our primary focus is on ensuring that you feel listened to and respected by the people in your life. Learning to find joy from life will not come from a pill. Even if medication helps to manage symptoms of anxiety or depression, or physical discomfort you may need to make some adjustments to your lifestyle, including developing new thought and behavior patterns, in order to truly feel better long-term. 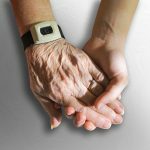 We understand that seeking therapy for senior or geriatric issues can feel daunting and congratulate you on taking an important step by looking up this page. If you’re ready to begin therapy, call 248.539.7777 today to set up an appointment at our Farmington Hills, MI or Walled Lake, MI location. We can answer any questions you have during an initial meeting in which you can relax and learn about the benefits of working with a senior therapist. Consultations are available by appointment. Our offices are conveniently located near Birmingham, Bloomfield Hills, Commerce, Franklin, Novi, Southfield, and West Bloomfield. Swerdlow-Freed Psychology provides individual therapy, marriage counseling, couples therapy and forensic psychology and consulting services including child custody evaluations, assessment of child sexual and physical abuse allegations, evaluations for criminal responsibility, competency to stand trial, and criminal pre-sentencing throughout Michigan (MI). Forensic psychology services are available nationwide.